If you are passionate about running as part of your exercise regime, you have probably experienced or will experience runner’s knee. It’s important to recognize and quickly address knee pain stemming from those increased kilometres. What does runner’s knee feel like? 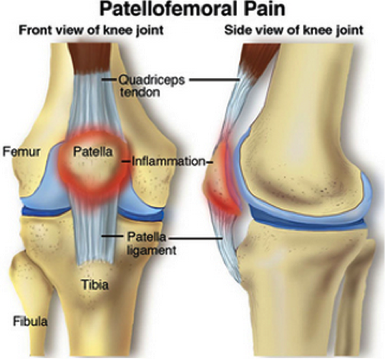 The common pain associated with patello-femoral (knee-cap to knee) issues is a diffuse aching around the kneecap. People will often say that they can’t put a finger on where exactly the pain is, or that it may feel like a pressure. Doing things such as going up and down stairs, spin class sprints, walking/hiking up and down hills can all be painful. Even those first few steps after sitting at the desk for a while can be quite uncomfortable. This pain is most often not associated with any particular mechanism of injury (no crack/pop/tear), but can often start after a notable increase in activity (not just running!) – whether it be a new plyometrics class, a long hike, epic powder ski day, or a big increase in running distance. The main factors are due to an excessive level of VOLUME–i.e. distance run, or INTENSITY–i.e. too fast, or too many hills. Every time the knee bends, the kneecap slides over it in a groove that takes it side to side slightly. There’s cartilage underneath that helps it move smoothly. 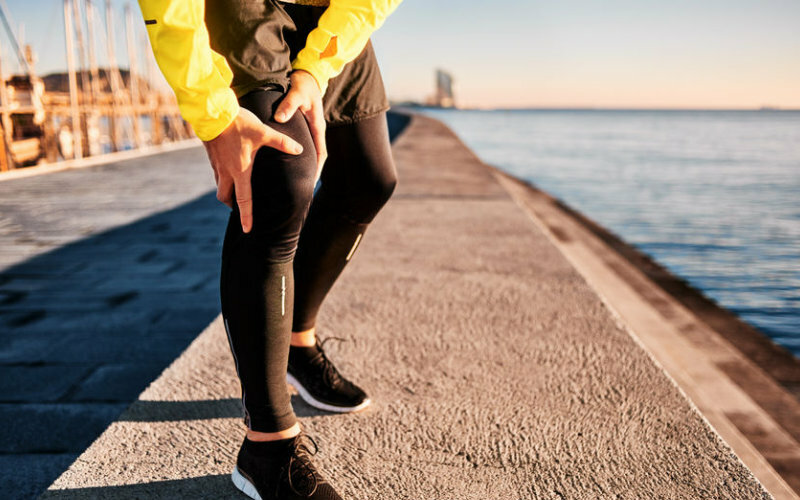 However, if there is a large increase in activity level (as mentioned above), combined with one of several elements that can alter this movement, then the kneecap can run off track just enough to cause irritation in the area beneath the kneecap, and cause pain. If this overload occurs, and the body is not given enough time to recover, the problem will worsen. What can be done to help runner’s knee? If one has patellofemoral pain, it will generally be recommended that there be a period of unloading. This may include something along the lines of one week off/decreased activity, avoiding running sprints, stairs, hikes etc. From there one can gradually progress to re-introduce appropriate ratios of activity to a level of tolerance. But remember, the word is progress. Exercises should never increase your pain more than a 2/10, and that pain should not last more than 24 hours. If it does, it’s too much. For a short time, avoid positions that increase compression of the kneecap on the knee–i.e. sitting in a low chair, kneeling down, etc.